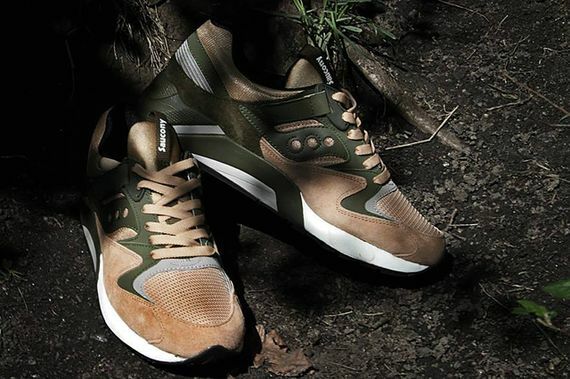 Saucony Originals Fall 2013 - Grid 9000 "Premium Pack"
A great move for Saucony, these “Premium Pack” joints are their first venture in a specialty sneaker riding solo, sans collab. 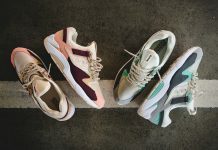 Though we’ve seen many brands build quite the name for themselves lately via collabs (ie New Balance, Asics) it’s good to see Saucony realizing early on that they need to be able to bring the heat from within. 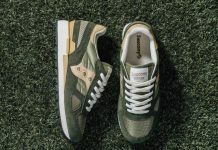 These premium kicks take an outdoorsy approach, draping the Grid 9000 in a camo inspired beige and olive green. 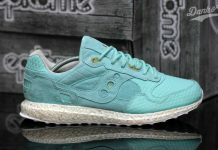 Constructed and color blocked via suede and mesh, these bold beauties are as good looking as they are durable, something one would expect from Saucony. 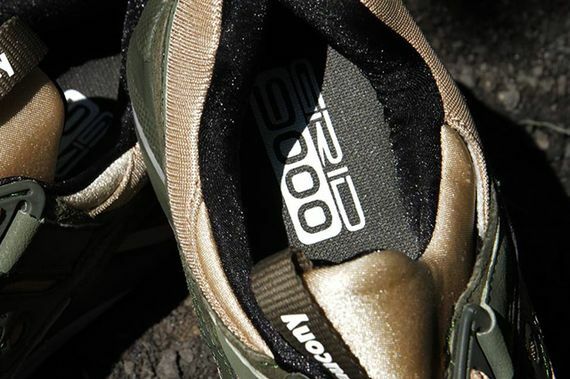 No release date for these 9000’s yet, but we’ll be sure to keep you updated via our Facebook, Twitter and Instagram. More photos after the jump.